Like Land Rover, Jeep first made its name with tough, go-anywhere vehicles, which were rugged, rough and ready. It has continued to make them too, even though most modern buyers of tall and chunky cars - now called sport utility vehicles (SUVs) - rate comfort and convenience more highly than the option to go on an off-road expedition. Jeep’s Compass, which goes on sale in February, is an attempt to combine both of these. It’s a family-sized SUV with similar dimensions to the Nissan Qashqai, Volkswagen Tiguan and Peugeot 3008. Like those cars, it’s spacious enough for a pair of average-size adults to get comfortable in the back, and three will fit without too much of a squeeze. The 438-litre boot has more space than you’ll find in a Volkswagen Golf (380 litres). The interior is modern, with a touchscreen at its centre, offering easy connection to your mobile phone; air conditioning is standard across the range, as is cruise control, automatic emergency braking and a leather steering wheel. But there’s also the option for full four-wheel-drive and clever traction technology that can deal with an array of slippery situations, maintaining Jeep’s historic reputation. Most buyers are expected to choose the four-wheel drive option, which includes technology called Selec-Terrain that boosts off-road performance further. A dial in the centre console can be set to a variety of surfaces, including snow, sand and mud, and will adjust the on-board electronics to tackle some of the harshest environments. Real off-road enthusiasts will be able to opt for a top-spec Trailhawk model later this year, which will add features including further protective body work, a low ratio gearbox for hauling up steep hills, and a bespoke 'rock crawl' mode. All of this will keep the Compass forging its way off road, long after a Qashqai, Renault Kadjar or Ford Kuga - even one fitted with four-wheel drive - has reached its limit. But most buyers will be more concerned about the gullies and gorges across Britain’s tarmac roads. And it’s clear that the Compass has been tested in Europe, because it offers a comfortable and fairly smooth ride across our scarred road surfaces, as long as you avoid the largest 18in alloy wheels. It compares well to the competition in this respect, but the Compass does show its weakness in corners, where the car leans noticeably at speed and the steering feels vague, making it more difficult to drive smoothly and accurately. Most of the alternatives are more stable, with more precise steering. Many are also cheaper too. The price for a new Compass - before any discounts - starts at £22,995, which only buys you a two-wheel drive model, without the off-road ability of more expensive cars. That’s enough for a mid-range Nissan Qashqai, Renault Kadjar or Skoda Karoq. A similar price will also buy a Peugeot 3008 or Volkswagen Tiguan, both of which have higher-quality interiors. The Compass does come with a good level of standard equipment, though. Safety is a strong point for the car, which achieved the top five-star safety rating after crash tests carried out by the independent Euro NCAP organisation. The entry-level model comes well equipped and fitted with the lower powered diesel engine. What it lacks in performance it will make up for with fuel economy and low running costs. Limited trim level adds a healthy dose of interior extras, such as a larger 8.4-inch touchscreen and navigation, while the punchy petrol is both quiet and smooth compared to the diesel offerings. 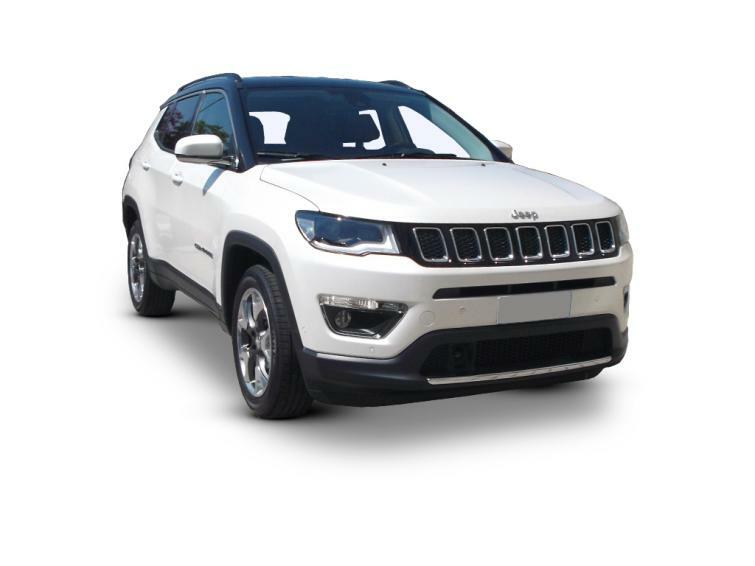 With a low range gearbox, extra off-road mode and plenty of additional protective elements, this vehicle is as rugged as it looks, offering excellent off-road performance. This vehicle costs almost £35,000 but the diesel engine isn't particularly quiet, the auto gearbox is a bit slow and the interior lacks the finesse of its similarly priced rivals. There are currently three trim levels available in the UK, with a fourth Trailhawk model coming later in 2018. Each level brings more features and a higher price tag, from the entry-level Sport to Longitude and then Limited. The engine range includes both petrol and diesel variants. The former is badged MultiAir II, while diesel models are badged MultiJet II. The size is given in litres (here it's 1.6). Larger engines are generally more powerful but you'll often see the engine's horsepower displayed as well. Cheaper versions of the car send power from the engine to the front two wheels only. These may be shown as 4x2. Cars badged 4x4 have four-wheel drive for greater grip while accelerating and off road. Automatic versions of the Compass are badged Auto9 because it has nine gears. Trailhawk cars are sometimes shown as Auto9 LOW because there is a low range set of gears, which deliver extra pulling power to the wheels for better off-road performance. Just one petrol engine is available with the Jeep Compass, badged MultiAir II, but it is offered with two level of power: either 140hp, combined with front-wheel-drive and manual gearbox layout, and a 170hp model that receives four-wheel-drive and the Auto9 automatic gearbox. Diesel customers get slightly more to chose from in so much as there is a 1.6 and 2.0-litre variant of the MultiJet II engine. However, the 1.6-litre engine is only offered with 120hp and it can only be specified with the front-wheel-drive/manual gearbox layout. There is slightly more choice with the 2.0-litre diesel engine, which comes in 140hp guise (this engine comes in all-wheel-drive only but customers can chose a manual or automatic gearbox) or a variant that delivers 170hp. The punchiest diesel engine is only offered with four-wheel-drive and the automatic gearbox, which is a shame, as it is likely to be the quietest option: the less-powerful diesel engines need more revving for similar performance, which can be noisy. On top of this, the automatic gearbox likes to hold on to first and second gear for too long, which is likely to aid off-road driving, but it doesn't feel smooth and natural through town. In fact, gear changes in the automatic gearbox can be a little harsh, with every cog swap felt by the driver. Instead, we found the lower powered, front wheel drive models with the manual gearbox to be the better cars. These felt lighter, smoother to drive and the smallest petrol engine was nice and quiet on the open road. Granted, both the lower capacity diesel and petrol engine did often feel a bit underpowered but it seems a fair trade-off for a quieter, more relaxing ride. Official new prices for the Jeep Compass start at £22,995, which pitches it against its more lavishly specified rivals from Nissan and Volkswagen. As a result, it has decided to equip even its entry level models with a decent amount of kit. Sport trim sees 16-inch alloy wheels, bright halogen reflector headlamps and electrically heated wing mirrors thrown in as standard. In addition to this, Sport models also get a 3.5-inch digital screen in the centre of the instrument cluster, air conditioning, dusk sensing lights, cruise control, a lane departure warning system and a 5-inch version of the new Uconnect system that boasts DAB radio and a USB port. Move up to Longitude and the Jeep Compass becomes a more premium proposition, with 17-inch alloy wheels, chrome exterior touches, a reverse camera, power folding mirrors and luxurious ambient interior lighting. On the technology front, Longitude models also receive the 8.4-inch touchscreen audio and navigation system, keyless entry and go and connectivity that supports Apple CarPlay and Android Auto. Limited sits at the very top of the range and sees 18-inch alloy wheels thrown in to the mix, LED signature lighting, privacy glass, a fully digital 7-inch instrument cluster, a thumping Beats Audio system and leather seats. There are also additional niceties, such as rain sensitive wipers, a park assist system and thick rubber all season floor mats, which bizarrely make this lavish model seem a bit utilitarian in our eyes. Finally, a Trailhawk trim level will arrive in 2018 that adds special off-road wheels, off-road bumpers, additional protective cladding and a whole host of dedicated off-road features. In fact, this will be the only model to wear Jeep's "Trail Rated" badge, which means it has been tested to withstand the harshest environments.